A visit to one of Virginia’s most rapidly-growing travel destinations deserves equally splendid accommodations. At our Harrisonburg hotel, thoughtfulness defines the guest experience. 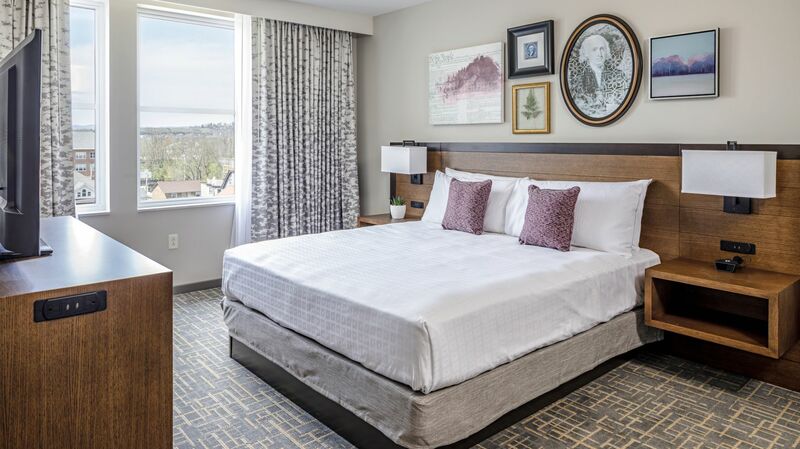 Hotel Madison's 230 well-appointed guest rooms provide a comfortable retreat to help you relax and recharge with modern amenities and essential conveniences. 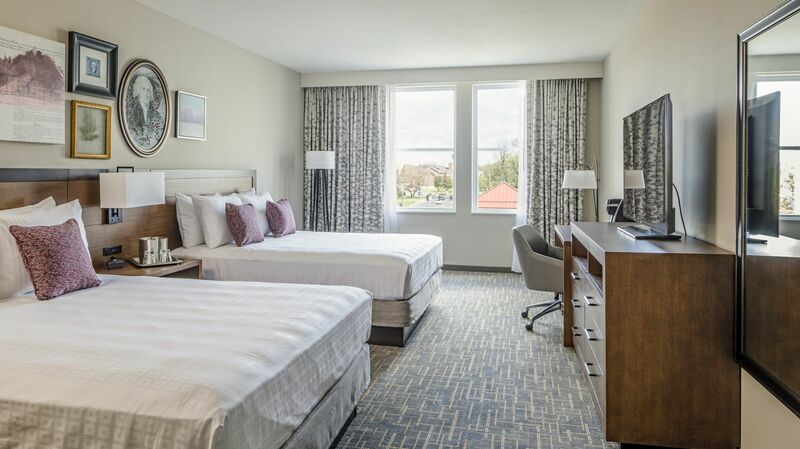 We offer multiple room types designed to anticipate your needs, including deluxe guest rooms, suites and extended-stay rooms with fully-equipped kitchens and dining areas. 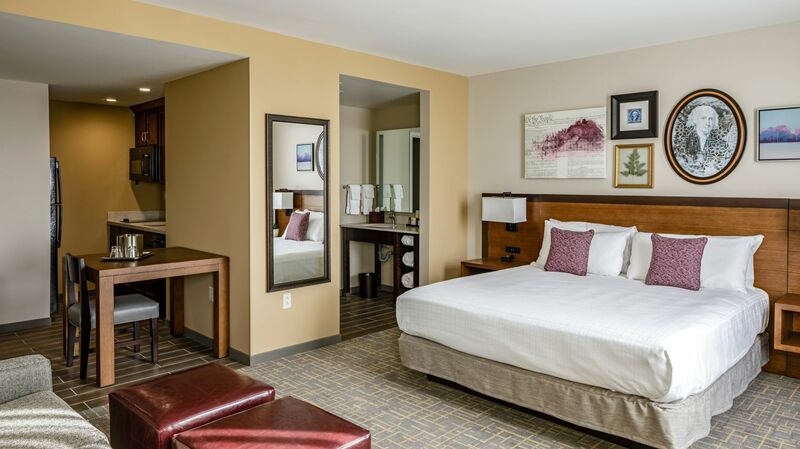 The spacious Harrisonburg, VA extended stay accommodations at Hotel Madison offer ample amenities for a home-away-from-home experience. 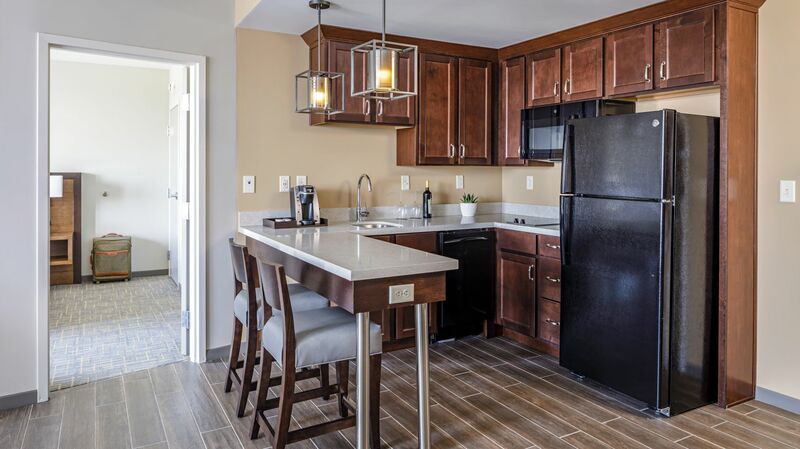 Our long-term guests can enjoy a fully-equipped kitchen, dining and seating areas, a dedicated work station, and all of the modern features included in our standard rooms. Extended-stay guest room with separate bedroom, fully-equipped kitchen and living and dining areas. Sofa-sleeper included. ADA available. Premium guestroom featuring 583 sq. ft. of space. Includes separate bedroom with King bed and en-suite bathroom, living area with 50" TV, sofa-sleeper, desk, and complimentary Keurig coffee & tea. Our Presidential Suite is one of a kind in the Shenandoah Valley. Two bedrooms, 2.5 bath, city & mountain views and 1,546 sq. ft. of space. Kitchen facilities and living/entertaining areas. Please call to reserve.